No project is too big or too small. Since 1986, we've been collaborating with homeowners, architects, and designers to bring their visions to life. Our story is one filled with innovation and change, but our promise remains the same--love your tile, or we'll make it right. Visit our website or come in to our San Francisco showroom! Having served the SF Bay Area for over 30 years, we feel privileged to be part of the local community of homeowners, remodel professionals, architects, and designers. We stay inspired and motivated by learning your stories and helping you design beautiful spaces that support your unique lifestyle. By constantly bringing in new products, adopting new technologies and, most importantly, listening to you - our customers, we strive to be the one-stop solution for all your tile and stone needs. Did we forget to mention that Art Tile has been voted Best in Oakland 2018! 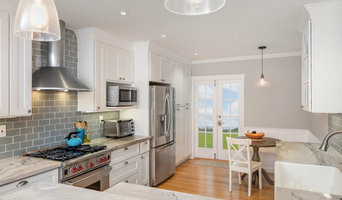 East Bay's Kitchen & Bath Remodeling Specialist | 2x Best of Houzz! Integrated Resources Group (IRG) offers over 250 types of stones with literally thousands of slabs to choose from. With a 70,000-sq-ft showroom and warehouse in Brisbane (conveniently located off Highway 101) and a 25,000-sq-ft showroom in Dublin, you’ll find quality and selection with outstanding service. Brisbane: 275 Valley Dr., Brisbane, CA 94005, 415-657-0280 Dublin: 6800 Sierra Ct., Ste. A, Dublin, CA 94568, 925-829-1133 IRG offers thousands of in-stock natural stone slabs and countless possibilities. The San Francisco Bay Area’s largest, most diverse stone supplier carrying spectacular and rare exotic stones such as onyx, blue agate and more, as well as traditional marble slabs, durable quartzite and granite slabs, limestone, travertine, soapstone and more. Northern California’s sole distributor of PentalQuartz®, IRG has it covered. Looking for fabulous designer tiles to complement your specific style? IRG has a wide variety to choose from; be it traditional, mid-century, or the most up-to-the minute trend, IRG will not disappoint. IRG is dedicated to providing top quality products and services to any contractor, designer or homeowner. Whether you’re working on remodeling your kitchen or bath or perhaps redesigning other parts of your home or business with a fresh, new look, IRG has what you’re looking for. Let the experts at IRG take care of you. Come in today and embark on your journey to a fresh, new space. Get creative – get IRG. 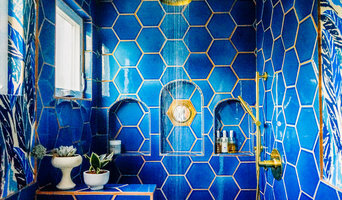 Luxury Tile & Stone Products - Best of Houzz Visit Our Local Showroom! Marble & Granite fabrication company. Northbay Stone Works is a successful Marin based company specializing in stone slab fabrication and installation, and retail stone tile sales. We provide our customers with the knowledge and understanding of how stone surfaces can add beauty, longevity, and value to their home or business. Our goal is to manufacture the highest possible quality product, from an incredible selection of stone products, at the best possible price. The stone fabrication trade requires teamwork, experience, and attention to detail throughout the process - from stone selection, to job templating, layout and stone cutting, fabrication, detailing, and installation. Careful consideration of all these aspects, play such an important part in achieving the highest level of customer satisfaction. From management, to shop manager, our fabricators, and our installers - all have many years of stone working experience. Every possible effort is made to ensure that the products fabricated and installed by N.S.W. are of the most exacting attainable standards. Each finished stone surface we provide includes the skill and pride of our staff, along with nature’s gifts, combined to create a unique and personal statement of great longevity for your home or business. New Marble Company fabricates and installs slabs and tiles in all types of stone including granite, marble, limestone, travertine and slate. We specialize in high-end residential projects such as kitchens, baths, floors, fireplaces and patios. We have delivered quality craftsmanship on or ahead of construction schedules for 25 years. Premium quality work is not just about the material--the value of a project also depends on the quality of its execution. Our crews are selected for their proven skills and guided to fulfill your exact specifications with precision and timeliness, both in fabrication and installation. 10% Off Your Next Project! Hello, my name is Zoe and I am the co-owner of Bay Stone Depot. If you are updating your kitchen or bathroom, I wanted to personally invite you to visit our showroom. We opened in 2005 with you in mind, and to be Silicon Valley's #1 source for exotic granite, quartz, and marble stone slabs and unique, one-of-a-kind tiles. What makes us unique is a combination of things, large spacious showroom to pull tiles and flooring together to create your design, a very helpful and knowledgeable staff that knows our industry, and a large selection to mix and match. It's truly a designer's environment. Once you get here, you'll love the space that I created for you. We created a 50,000 square foot showroom with over 10,000 different product choices in many colors, sizes, shapes and patterns. People who visit our competitor's showrooms tell us how overwhelming the amount of selections are, but we wanted to make a showroom that resulted in a relaxing experience and helps to draw out the creative thinking in our customers. We understand that home remodeling is both personal and emotional, so we sought to create a space that displays quality selections and a knowledgeable staff that can help pull combinations of designs together, as well as to have thorough knowledge of our manufacturers. There are NO limits to your creation; that's the beauty of our industry. Our designers are here to help you down this path or we can partner with your Interior Designer or Contractor to find the right combinations of materials to make your project totally stunning. If you are just beginning or have an idea about your home design, I encourage you to visit our showroom to appreciate and to see the depth and fascinating patterns of stone and tile. If unsure about where to start, give us a call. Let us help you make a statement and realize your dream home! CTD is a family owned business with a showroom and warehouse in both San Rafael and San Francisco. Our showrooms are staffed with talented teams of Design Consultants. Whether you already know exactly what you want or have no knowledge of what's possible we can help your project exceed your expectations. To achieve this we stock the best Italian porcelain lines in a variety of styles and work with the most creative American art tile companies to set your project apart from the rest. Our warehouses not only provide a safe place for your order to arrive, but also stock a complete array of all the setting materials your contractor will need to complete your project saving him time and you money. They warehouse staff is knowledgeable and friendly to help make sure your project goes smoothly. Our teams of design professionals and installation personnel all have vast experience in the industry and offer the best in craftsmanship, timely delivery, expert/timely installation, and a positive customer experience. Our goal is to provide the best service possible; our knowledge and experience in the field as well as our strong sense of responsibility are the keys to our success. From initial customer consultation and project planning to templating, fabrication and installation, we achieve our goals. We listen to the needs of our clients and based on those needs, provide the best possible results at the best possible price. If your project structurally requires ¾” material, we will work with our partners to acquire the stone and fabricate and install it. Established in 2014. We are a one stop shop for all your kitchen and bath needs. 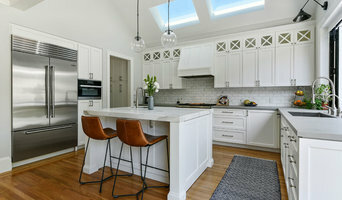 Offering kitchen design services with a wide selection of cabinets, tile, stone and counter tops. Providing our customers with valuable customer service that is unmatched. We have competitive pricing, and pride our selves as the best source for tile and stone flooring products in the bay area! You will find the largest selection of stones, slabs, travertine, granite, marble, and porcelain. Visit our conveniently located showrooms. Our stones come from very specialized plants in Italy, Turkey and India whose superior quality and diversity is passed on to our customers. State of the art technology is used to guarantee that every piece of stone we ship surpasses industry quality standards. With hundreds of residential and commercial choices including marble, granite, onyx, travertine and other natural stones, you will benefit from an enormous selection of colors, styles and finishes. Come and experience our exceptional service and assistance with free samples and reliable delivery and of course our total dedication. Family Owned - Established in 1982 We are the ultimate destination for Tile & Stone with the promise of the most satisfying tile and stone buying experience. From concept through completion, we strongly believe that our customer service and superior product quality with virtually limitless possibilities will achieve your vision for your home. With a customer base that includes homeowners, contractors, builders, remodelers, architects and designers - we serve virtually all types of potential tile buyers. The primary goal of our friendly, knowledgeable design consultants is to help you choose the tile that's right for all of your projects. We are a leading importer and distributor of unique high end stone tile, slabs, large or small. Our beautiful stone collections — Jerusalem, Timeworn, Forte de Marmi and Pampeano — are featured in these pages. Our headquarters are located on California’s beautiful Central Coast—near the exclusive enclaves of Carmel, Pebble Beach and Monterey. We love where we live and work and are passionate about our company, which we have built on a rock solid foundation of honesty, integrity and loyalty. We always stay true to our business ethics, and carefully choose to whom we sell our products. To better serve our customers’ needs, we make our products available in a variety of ways—by dealer job pack, stocking pallet, cut-to-size for any project, and direct ship containers to importing distributors across the United States. Carmel Stone Imports has evolved into a national distributor of unique stone, but with our roots in a retail showroom, we are proudest of our tradition of customer service excellence. We understand and respond to our customers’ needs—from homeowner to large stocking distributor. In our ongoing pursuit to service a variety of customer needs, we pledge to ship in-stock orders within two business days and subject all orders to stringent quality control. We strive to respond to all customer inquiries within 24 hours. Our commitment to outstanding customer service, coupled with an extraordinary product selection, has made Carmel Stone Imports an industry leader, and has lead to our excellent reputation in the tile and stone industry and the building trades in general. Import Tile is now part of the ALL NATURAL STONE family of stores with four Bay Area locations to serve you. We strive to help you create a beautiful space you will enjoy for years. We import a huge selection of natural stone and ceramic tile from all over the world. Come to our showroom, where you will find: Modern and classic glazed porcelain tiles Italian marble, fine slate, granite, travertine and limestone Mexican, Spanish and Italian pavers and decorative tile Commercial-grade Quarry flooring, including cove base & trim Hand-painted stoneware Art glass and stone mosaics Prefabricated stone countertops Products from recycled materials Advanced soundproofing, crack-suppression and waterproofing systems Tools and materials to complete a high-quality installation Most products in stock! Our goal is to reflect nature's raw, exotic beauty through our range of tile and cladding offerings. From our premier Indonesian Pebble Tile to the Asian contemporary feel that is weaved throughout our range of tile designs, our Island Stone team continues to maintain the strictest level of quality and consistency from our materials to our manufacturing. Proudly serving the North Bay since 1991! At Shabo Tile + Stone we believe in quality, both in the stone we craft and the services we provide. As a traditional, family owned business, we believe in the beauty and value of a job well done. Our goal is to create space that is both luxurious and functional, and to deliver it on time and on budget! What does a tile, stone and countertop contractor do? If it involves tile, stone or another countertop material, odds are this pro can tackle the job. With comprehensive knowledge of which surfaces will work best in various locations within the home, California tile, stone and countertop contractors can help you select the ideal material for the intended application. Some focus on kitchens and bathrooms, while others handle outdoor projects, such as walkways. In addition to basic surfaces, many Pacifica, CA tile, stone and countertop contractors can create and install murals and mosaics, as well as add decorative edge treatments to countertops. They also repair or replace surfaces in the event of chips, cracks, stains or other damage. Many tile, stone and countertop professionals also install shower pans, radiant-heat flooring systems and other common components of surfacing jobs, often working in tandem with Pacifica, CA plumbers or other professionals. Here are some related professionals and vendors to complement the work of tile, stone & countertops: Interior Designers & Decorators, Architects & Building Designers, General Contractors, Kitchen & Bath Designers, Design-Build Firms. How long have you been in the business? May I see examples of your previous work? How do you charge, and what does that include? How will I be charged for parts and materials? What is your policy on change orders? Find a tile, stone and countertop contractor on Houzz. Narrow your search in the Professionals section of the website to Pacifica, CA tile, stone and countertops. 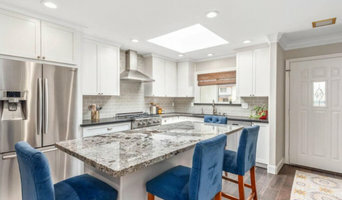 You can also look through Pacifica, CA photos to find tile, stone and countertop projects you like, then contact the contractor who worked on it.